I install commercial Store Fronts from start to finish. 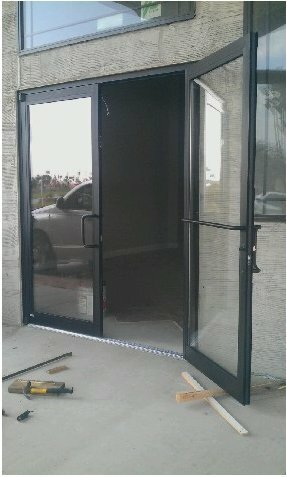 I also do repairs on existing Store Fronts, doors, glass replacement, and remodels. 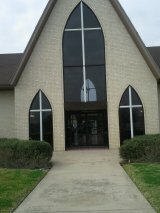 Remodel on First Church of the Nazarene in Harlingen after Hurricane Dolly. New Construction of a Church in Harlingen in need of a pair of doors.